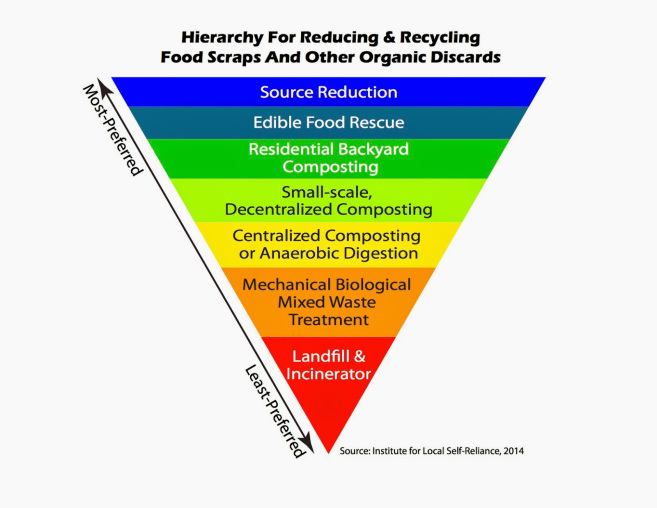 First, organic waste can be reduced through various measures, e.g., improved labeling, better portioning, awareness raising and educational campaigns around food waste and home composting. Secondly, priority should be given to the recovery of edible food so that it is targeted at human consumption first, and alternatively used as animal feed. Next, non-edible organic waste should be composted and used as fertiliser for agriculture, soil restoration and carbon sequestration. Additionally, garden trimmings, discarded food and food-soiled paper should be composted in low-tech small-scale process sites whenever possible. In larger areas, composting could be done in a centralised way with more technologically advanced systems. An Australian startup has found a way to transform end-of-life plastics into bio-crude fuel. But is this a sustainable solution or just pollution displacement? A McDonald’s container washed up on the beach. At first glance, the polystyrene container buried amid the beach detritus was unremarkable. Closer inspection however yielded something jarring about this discarded filet-o-fish box. Discovered by locals cleaning up in the wake of a storm last month on a South Australian beach, the polystyrene-based clamshell container bore a stylistically-dated design and logo, yet the packaging itself appeared as good as new. 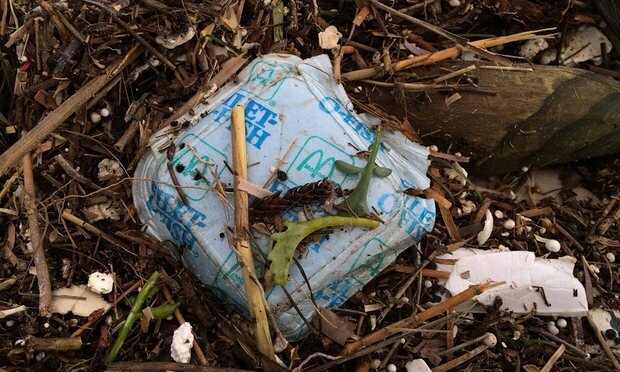 It wasn’t new – McDonald’s stopped using such containers in 1991, so it had drifted in the Gulf St Vincent and beyond or lain buried within sand dunes for at least two-and-a-half decades. By the life cycle standards of plastics however, this humble burger container was just beginning its journey; polystyrene foam remains intact for about 500 years before breaking down into chemicals that linger far longer than that. Historians typically define eras by the type of material civilisations leave behind: the stone age, the bronze age, the iron age. The archeologists of the future may well look back on the modern era as the plastic age, our legacy piling up in landfill, clogging up rivers, floating about the oceans, and choking or poisoning wildlife – and the humans who eat the wildlife – for centuries to come. If University of Sydney Prof Thomas Maschmeyer has anything to do with it, the historians of tomorrow will have to, at a certain point, refer to a different material to chart human progress. That’s not because he has worked out a way to replace plastic, but rather a way to get rid of it. Maschmeyer’s renewable energy startup Licella is taking a more refined approach to the idea of waste incineration, pioneering a method to transform end-of-life plastics into a bio-crude petroleum substitute. Renewable Chemical Technologies Ltd (RCTL), backed by UK energy investor Armstrong Energy, is investing A$10m (£5m) into Licella’s plan to build the world’s first commercial hydrothermal waste upgrading plant. Licella will develop and test a recycling plant in Australia before shipping it to the UK, with the first plant to be integrated into an existing facility, which Licella hopes will be the first of many. The aim of the partnership is for RCTL to develop projects to convert end-of-life plastics into high-quality oil, suitable for blending into standard hydrocarbon fuels, using Licella’s proprietary catalytic hydrothermal reactor platform that has been developed in partnership with the University of Sydney. Maschmeyer says the partnership will tackle the issue of what to do with end-of-life plastics – the remnants of mixed plastics with small amounts of paper and cardboard that are left over from more easily recyclable components. “Dealing with end-of-life plastics is challenging and expensive, as they vary considerably and have traditionally had to be sorted in order to be recycled effectively,” he says. “This investment will allow for the deployment of our technological solution on a commercial scale, with up to 20,000 tonnes to be transformed from waste to product annually from next year just from the first plant alone,” says Dr Len Humphreys, chair of Licella. Virgin Australia and Air New Zealand are interested in making use of such fuel, and the process can also turn waste products from the pulp and paper industry into bio-crude, a possibility that has attracted Canadian pulp and paper producer Canfor onboard to develop a full-scale commercial operation. However, experts warn that bio-crudes are not without their own environmental consequences. Dr Tom Beer, honorary fellow at the Commonwealth Scientific and Industrial Research Organisation (CSIRO) and former leader of the transport biofuels stream of the CSIRO energy transformed flagship, says turning plastics into bio-crude does present an environmental trade-off in respect to carbon emissions. “Of the oil that gets extracted out of the ground, about a third is used to produce plastics, which effectively locks the carbon up into plastic,” he says. Prof David Cohen, a specialist in the use of nuclear techniques to track fine particle air pollution at the Australian Nuclear Science and Technology Organisation, says carbon would not be the only thing emitted in the use of bio-crude. “At the front end, production of a product like this is going to involve an energy component to convert it into fuel,” he says. “Then at the back end, if you convert organic material into fuel and then burn it – then you are going to end up with a combination of carbon, hydrogen, oxygen and byproducts that could include soot, volatile organic carbons and carbon dioxide, which are all not so good for the atmosphere. Maschmeyer says that in terms of processing, Licella has managed to dramatically reduce carbon emissions via a groundbreaking technique that involves extracting hydrogen from water, and has a much lower carbon footprint than typical crude oil processing. “The crude oil refining process takes about 12% of the oil ending up as CO2 before burning the oil, just in the process of taking it out of the ground,” he says. In terms of the end use of the bio-crude, he says that the economy is not 100% green just yet, and for as long as fossil fuels need to be used – such as in jet fuel – bio-crude is a more environmentally-friendly option given the comparatively lower carbon emissions and the added benefit of removing plastic from the environment. The company’s filings reveal funding for a range of organisations which have fought Barack Obama’s plans to cut greenhouse gas emissions, and denied the very existence of climate change. So does the Washington lobbyist and industry strategist Richard Berman, whose firm has launched a welter of front groups attacking the EPA rules. The support squares up with Peabody’s public position on climate change. The company went further than the fossil fuel companies and conservative groups that merely promoted doubt about the risks of climate change, asserting that rising carbon emissions were beneficial. The names of a number of well-known contrarian academics also feature in the Peabody filings, including Willie Soon, a researcher at the Harvard-Smithsonian Center for Astrophysics. Soon has been funded almost entirely by the fossil fuel industry, receiving more than $1.2m from oil companies and utilities, but this was the first indication of Peabody funding. But the sharp drop in coal prices, under competition from cheap natural gas, and a string of bankruptcies among leading US coal companies has inadvertently revealed the coal industry’s continued support for climate denial – even as oil companies moved away from open rejection of the science.